Since I'm constantly in and out of Seville, many people ask me for recommendations as to where to see flamenco in Seville, which sparked me to write this blog post. First of all, great question, because good flamenco is not always easy to fin in Seville! 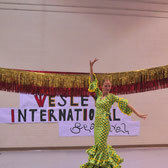 I'm also often asked where to find flamenco danced the way I dance. That is a little harder to find because everyone has their own style and interprets flamenco in their own way! Yet, I will share with you my favorite Seville-based dancers that I always look upon. Below are my favorite places to see flamenco, although keep in mind that everything depends on the artists performing that night and there's no good way for me to keep up with the upcoming lineups. Some of these places have no websites or even if they do they do not post updates! Definitely the best and most magical place to see flamenco in Seville. It is the oldest one of several flamenco associations in Seville. 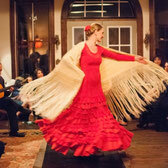 Full of flamenco history, flamenco aficionados (fans) and offering great performances. Although the Peña has their website and a Facebook page, they are never updated. Most of the year, except summer, the Peña has shows featuring a dancer on Wednesday nights, starting at 9pm. The Peña mostly features young and upcoming dancers from Andalusia, giving them opportunity to perform with top flamenco signers and guitarists. Although the show never starts on time, get there early to reserve the best seats, have a glass of wine and try some of their excellent tapas! 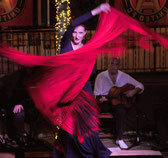 Situated in the heart of Seville's historic district, this venue is the best tablao created for tourists to see flamenco. Although mainly established for tourists, there, you can also encounter flamenco students coming to get an opportunity to see their flamenco teachers dancing. They have at least two shows every day, starting at 6pm, with the last show at 10pm. Shows are 1 hour long. Tickets can be purchased at the venue or reserved online. Check their online show calendar! My advice is to get tickets beforehand because I've always seen a long line in front of the Casa de la Memoria. 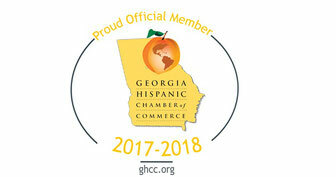 Some of my favorite artists perform there and they include: Rafael and Adela Campallo, La Choni, and Tamara Lopez. 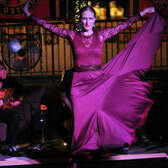 This is also a tablao created for tourists but it's close to my heart because I usually perform there when in Seville. This is a venue for upcoming flamenco dancers but in addition to Spanish-born dancers, you have a chance to see up and coming flamenco dancers from around the world. It's also located in a beautiful flamenco school, called Flamenqueria, where I studied on different occasions. It's situated in a traditional flamenco barrio called Triana which is a must see. The best way to see their schedule is to look on their Facebook page, which advertises both school as well as tablao events. Theaters of Seville - see flamenco like a local! (offers flamenco shows cycles called "Jueves Flamencos", with shows on Thursday nights in spring and fall) - Get your tickets early because they are very likely to sell out!!! (offers flamenco shows cycles called "Flamenco Viene del Sur", with shows on Tuesday nights in spring and fall) - Get your tickets early because they are very likely to sell out!!! Finally, if your only reason of visiting Seville is to watch flamenco, you should come during the Bienal Flamenco festival, which happens every two years in September. Bienal features the best artists and the best shows, and it's an event not to be missed! Involves theater shows as well as flashmobs and street performances. The next Bienal will happen in 2018. If you are planning on going, you should start buying your tickets in the spring of 2018!